RJ Power Networks has recently completed the safe removal, disposal and recycling of all the old equipment and then installed, tested and commissioned a new LV panel, power factor correction panel, battery tripping unit, remote generator connector panel at 1 Future Walk in Derbyshire. 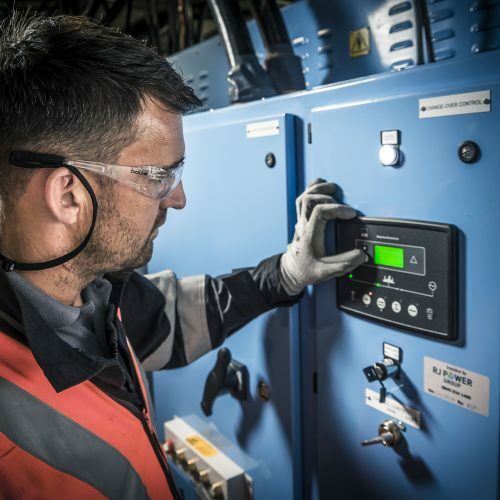 Following the failure of their Power Factor Correction section of the LV Switchboard, the client awarded RJ Power Networks the contract for replacement of the existing LV equipment. RJ Power Networks undertakes a range of installation works, from control cabling and relay works, through to the provision of high voltage ring-main systems in private distribution networks, continually strives to improve and adapt its methods, works, equipment and services to maintain a cutting edge. This project was no different with RJ Power Networks providing early contractor involvement around programming and coordination of the works with both the client, and the network operator to ensure that all aspects of the project were covered and agreed well in advance of the commencement on site. The Networks team was able to deliver in full their objective to replace all the equipment to the very latest specification with the minimum of disruption, providing a fully tested and commissioned solution to the complete satisfaction of the customer. You can click this link to read the full case study.